Earlier this year reports were released that 3 GW of new solar power were installed in Germany during the month of December alone. This marked a new record for solar capacity installed in a single month in Germany and doubts were cast on the accuracy of the news. Many craftsmen and companies of the solar industry voiced their skepticism since they didn’t notice the kind of increased activity that would have been required to accomplish such a record. To put the 3,000 MW in December into context, the entire solar industry of the US installed a total of 1,855 MW of new capacity in the entire year of 2011. Now, weeks of speculation have come to an end as the German Federal Network Agency has confirmed its earlier assessment by releasing its final report on new solar installations during the 4th quarter of 2011. According to the report, solar capacity did actually increase by 2,983 MW in December alone. 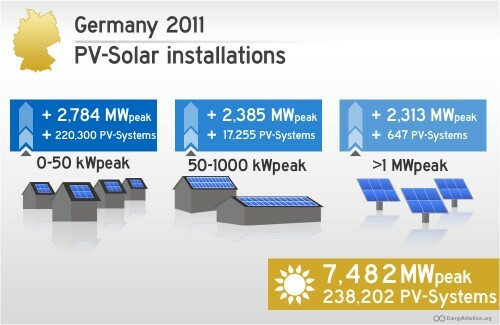 This report also confirmed an annual solar power capacity increase of 7,482 MW in Germany. Besides confirming the numbers of the estimates, the report also shed some light on the record months of December. As the reports shows, all kinds of solar projects were significantly up compared to previous months. The installed capacity increased across the board, from small rooftop solar with 3-kW installations, to huge multi-MW solar farms. Solar power plants greater than 1 MW increased even more so compared to 2010. The market segment for these relatively “huge” solar power projects had a very significant spike in December…. While other segments were up by 200-400% compared to the average value of the previous 11 months, projects 1 MW or larger were up 12x! That pushed about 70% of the installed capacity of that market segment in 2011 into the month of December. I think that showcased quite a strategic move on the part of project developers — low installations during the first half of 2011 to keep cuts to the FiT in July rather low, and then connecting as many projects as possible in December. That’s my thought on it, at least. What does this new record mean for the solar industry in Germany? 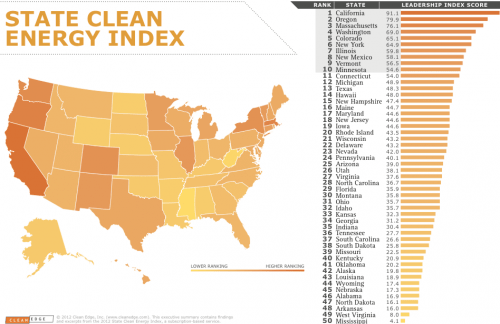 December 2011 proved, once again, that decentralized renewables energy systems can be installed faster than most people are told to believe. “Multiple solar manufacturing facilities in the San Antonio area to produce proven components of solar power plants” under the agreement. The solar project is supposed to be built in phases over the next 5 years. “In just a few short years, this initiative could help CPS Energy achieve our Vision 2020 goal of attaining 20 percent or 1,500 MW of renewable resources by the end of the decade. It’s a phenomenal opportunity that propels this utility to a leadership position for both wind and solar energy,” stated CPS Energy Board Chair Derrick Howard. 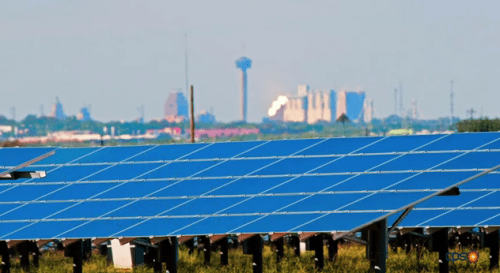 With this company relocating its headquarters to San Antonio due to CPS Energy’s work, the utility has now brought 7 clean energy companies to the area. The utility announced last June that it intends to become “a New Energy Economy hub” — looks like it is sincere about that.